Publishing revolution is in the air. You can't miss it. 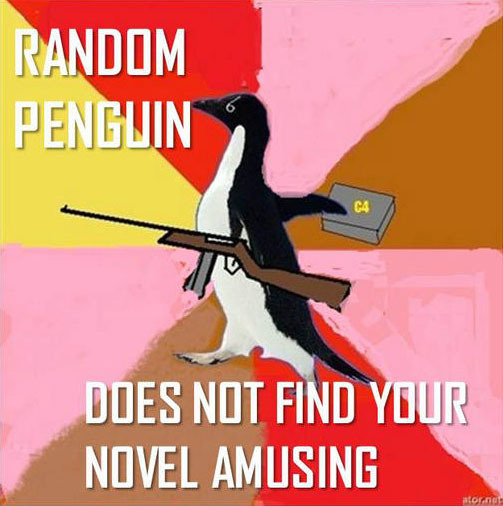 This week has been big for mergers, including my own publisher, Penguin, who've become Random Penguin. And everyone's waiting nervously to discover what it means to work for (or be an author with) the world's largest trade publisher. On the other side of the publishing revolution are booksellers. There are lots of wonderful indie booksellers in the UK and I get most of my best recommendations from them but I haven't been to a single one that absolutely knocks me flat the way the ones on the West Coast of the US do (edit: Norfolk Children's Book Centre excepted). Like Dog Eared Books in San Francisco, for example. From the hand drawn obituaries in the window (courtesy of employee Veronica de Jesus) to the WHOLE WALL of graphic novels, I can't imagine loving books and not being enchanted by Dog Eared Books. There were good quality second hand books mixed in with the new and remaindered, chairs set out so you could settle in and stay all day. They also buy books. Launch books. Have a book group/salon run by a local author, sponsor a lit-crawl, a local notice board…etc. It's not flash or shiny or expensive, it's just original, quirky, exciting, and all-around brilliant. And isn't that what everyone wants in a bookshop? So while all the little publishers are crawling out from behind trees and under rocks, I cross my fingers and hope that the wild and crazy original strange and wonderful bookshops will come too. Because when I ask people who buy all their books on Kindle what they've read lately, they all reel off the ten top books on the best seller list and then frown and say, No, I haven't really enjoyed any of them. And that tells me that the future for book lovers is not simply Kindle, Amazon, Google, Frankenpublishers or fifty more Shades of Grey . It's small, daring, individual publishers. Small daring individual authors. And, while I've got three wishes, small daring individual bookshops to match.